A meeting of the union cabinet chaired by Prime Minister Modi has given its approval for signing an Agreement on Cooperation between India and Russia to enable the fight against all forms of terrorism and organized crime. New Delhi (Sputnik) — The Government of India today approved the signing of an India — Russia Agreement on cooperation in fighting terror. The Agreement ratified by the cabinet is proposed to be signed during the upcoming visit of the Indian Delegation, led by Home Minister Rajnath Singh, to Russia from 27-29 November. "India and Russia have a long history of close cooperation in international fora on matters of mutual interest. With the rise in terrorism and organized crime across the world, it is imperative for countries to work together to combat all forms of terrorism," a government release that followed the cabinet meeting said. The proposed Agreement, which will replace the Agreement of October 1993, is a step towards consolidating the benefits accrued in the field of security and seeks to jointly fight the new and evolving risks and threats. The Agreement would reinforce the relationship between India and Russia through the exchange and sharing of information, expertise, best practices and would help in curbing terrorism and enhancing security in the region, it added. 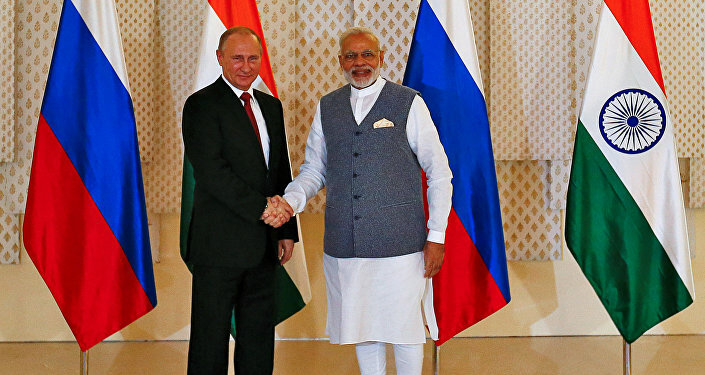 India news agencies have carried stories quoting sources in the Home Ministry that the four-day visit of Singh to Moscow will also have deliberations on the proposal for a more lenient Visa regime between India and Russia. The visit of the Indian Home Minister has been pending since September of last year, when a scheduled trip was canceled due to a terror attack on the Indian Army brigade headquarters in Uri in India.